The models are exhibited permanently in the library at the entrance area. "Mathematical model" / Encyclopaedia Britannica Online. 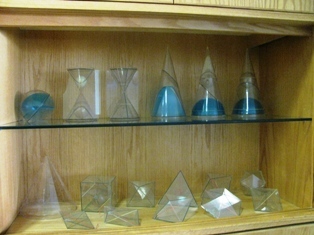 Physical mathematical models include reproductions of plane and solid geometric figures made of cardboard, wood, plastic, or other substances; models of conic sections, curves in space, or three-dimensional surfaces of various kinds made of wire, plaster, or thread strung from frames; and models of surfaces of higher order that make it possible to visualize abstract mathematical concepts. 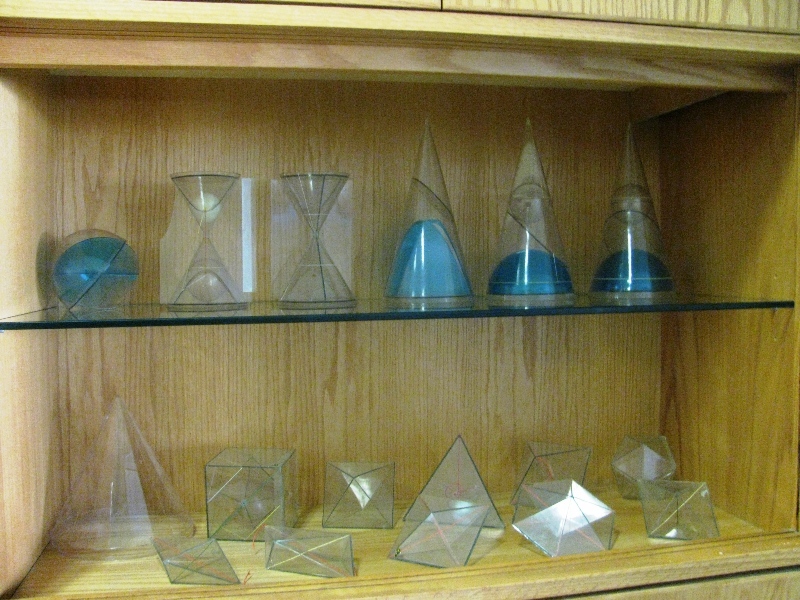 The Göttingen collection of mathematical models and instruments was developed to use physical models and experimental instruments in education and research. This model collection already had a long history when Hermann Amandus Schwarz and Felix Klein overtook the direction of the collection. The model collection was systematically modernized and completed for the education in geometry and geodesy under the direction of Klein. This collection was considered so important that Klein exhibited the models on the occasion of the World s Columbian Exposition 1893 in Chicago. Most of the models were produced by Martin Schilling in Leipzig. The firm's catalogue of the firm catagorized the models into series. Each model is described and explained. Martin Schilling : Catalog mathematischer Modelle für den höheren mathematischen Unterricht. 7. Aufl. Leipzig : Martin Schilling,1911. These models inspired artists, particularly Man Ray, who was inspired by the Mathematical models at the Institut Henri Poincaré, Paris, shown to him by the artist Max Ernst. Man Ray - Human equations = מאן ריי משוואות אנושיות , an exhibit on his "Shakespearean Equations" was on display at the Israel Museum October 22, 2015-January 23, 2016. The exhibit included some models from our collection. Prof. Felix Klein's personal collection was purchased in 1927 by Prof. Edmund Landau for the mathematics library. 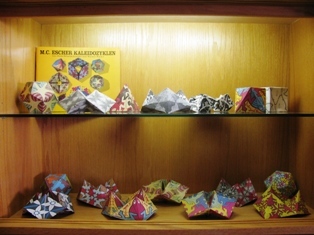 This collection included some mathematical models made of gypsum (Prof. Klein had rearranged and added to the collection of mathematical models in Göttingen). For more information, see: → Library's history. Between 1934-36, the mathematical objects at the Institut Henri Poincaré in Paris, were photographed by the artist Man Ray. Göttingen classification: A.I.g. Confocal systems. A confocal system describes conic sections with the same foci respectively their body of rotation. XVI no.8 Vereinigung eines einschaligen Hyperboloids mit einem confocalen zweischaligen Hyperboloid Single-leaf hyperboloid and confocal double-leaf ellipsoid. XVI no.9 Vereinigung eines Ellipsoids mit einem confocalen einschaligen und einem confocalen zweischaligen Hyperboloid Ellipsoid, confocal single- and double-leaf hyperboloid. M.C. 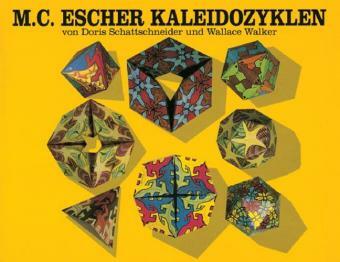 Escher Kaleidozyklen / von Doris Schattschneider und Wallace Walker. Berlin : Benedikt Taschen, 1990. Translation of M.C. Escher kaleidocycles.